This quiet, modern bed and breakfast property is situated on the banks of the beautiful St Marys River. Walk out your door to fly-fish or bike/hike the new Rails to Trails paved path. 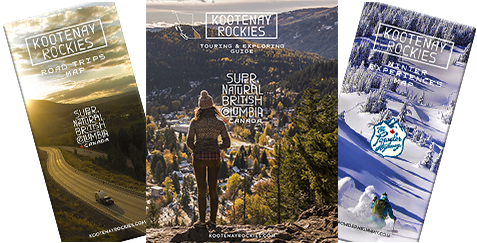 Within minutes, you can be golfing on one many golf courses the region has to offer or, in the winter, skiing at the Kimberley Alpine Resort. Enjoy the activities in nearby Kimberley, Cranbrook or Fort Steele. Hike one of many scenic trails or plan a mountain biking experience. When you are done for the day, relax on your patio, watch the eagles soar, prepare for the next day and sleep deep and restfully in the home-like B&B. The property includes Mountain, River and Wild rooms. All rooms have private ensuite with shower, river view, overhead fan and mini fridge. St. Mary River B&B can accommodate families and groups. Common room and kitchen also available. Fishing shuttle service, airport p/u drop off is available.